Make sure you have a good internet connection, that your Skype (or other) app is updated, and the mic on your earphones are working. You’ll want to do at this at least an hour before the interview, so you have time to restart your computer and troubleshoot anything, if necessary. Even if you have noise-cancelling headphones, the internet connection at a public space can be really unreliable. It’s better to have a nice quiet space anyway, so that you can think clearly with peace of mind that something uncontrollable won’t throw you off your game. Dress as if it were in person. Even though it might be a more casual interview, you’ll stand out as someone who went the extra mile to look good for the interview. Shower, shave, and dress appropriately. Plus, you’ll feel better about yourself and that confidence will come through in the interview. And it might be tempting to wear a dress shirt with sweatpants, but you never know if you’ll have to stand up or move around for something unexpected, so look good top to bottom! Build rapport with them first. It’s even more important to create a connection with them on a video call, because you don’t have that advantage of being in the same environment. Ask them about their favorite sports team, the weather where they’re at, pop culture events, or even their pets and family. This will help the rest of the interview feel more personal, and you’ll stand out in the pool of their interviews. Show that you’re paying attention. 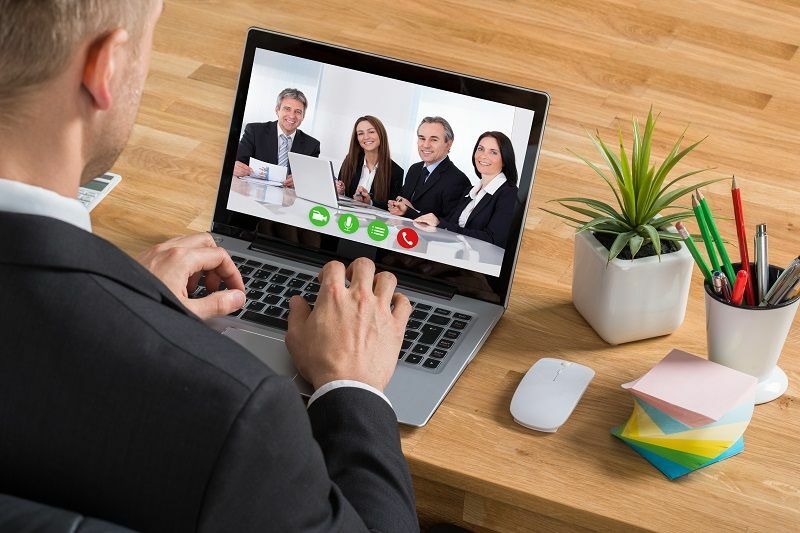 It’s slightly harder for the interviewer to see that you’re listening with them via video, largely because eye contact is tricky in this situation. Use visual cues like nodding and even simple responses like “yes,” or “interesting” helps to demonstrate that you hear them. In addition, when you repeat what they’re saying with your interpretation, and asking follow-up questions, you’re actively engaging with them. Sitting up straight and smiling helps too! Madden can help you prepare for your next interview, give your contact a call to reach out for some more tips!